Some close-up shots of the station are shown below. The view from the Station platform is beautiful in both directions. 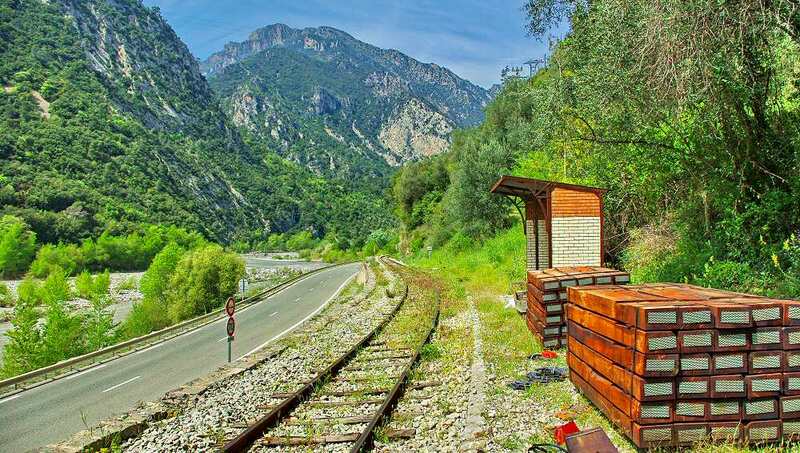 The platform is provided with a small shelter and there are no other facilities at the station. 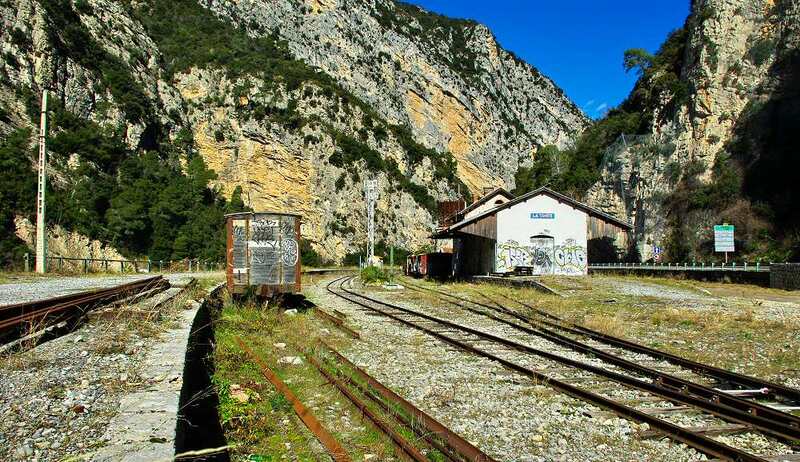 28 kilometres from Nice, the Station was opened in 1892 and was the provisional terminus of the line from Nice during the construction towards Digne. 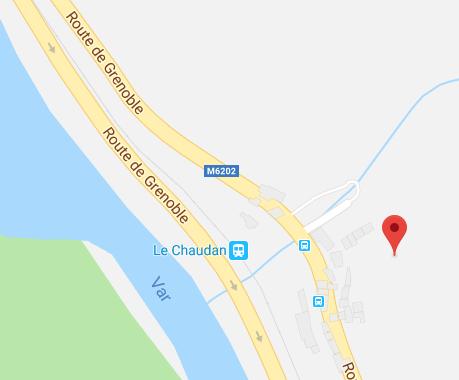 La Tinée is the name of the tributary of the Var whose confluence is a little further north. 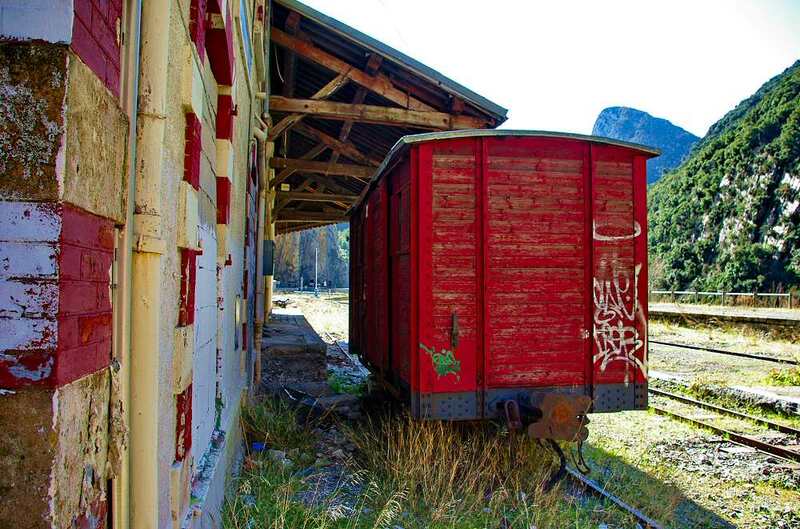 The station buildings are large. 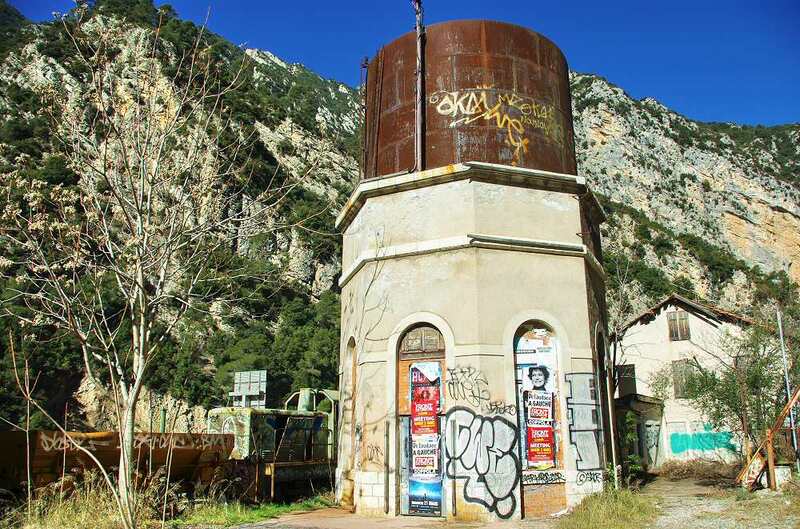 The image above shows the station from the roadside looking north. . A water tank was provided as were significant goods handling facilities. The following pictures document the state of the station in 2010 and are to be found on the http://www.formule4.com website. Arriving at the Station from the South in 2010. 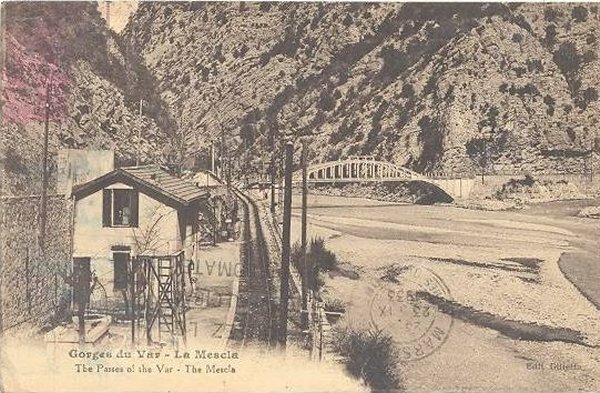 An early postcard showing La Tinee Railway Station. 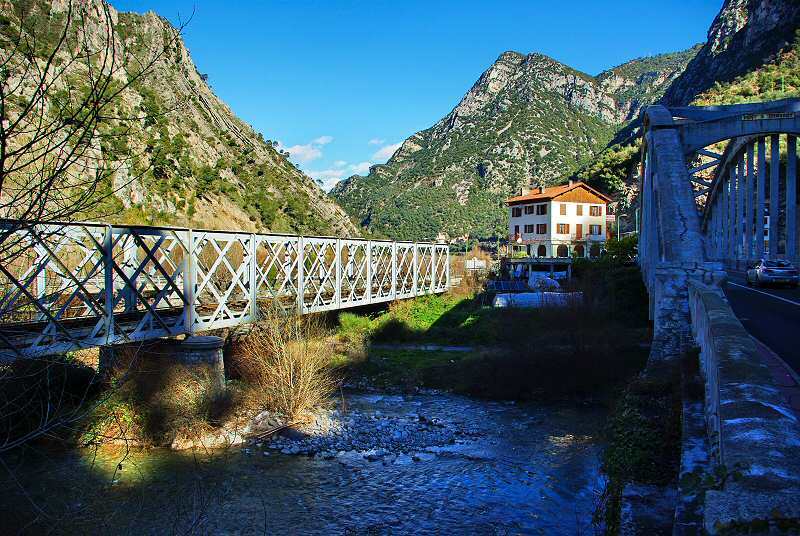 At Le Reveston the railway passes through the halt and then crosses the River Var on a steel truss girder. 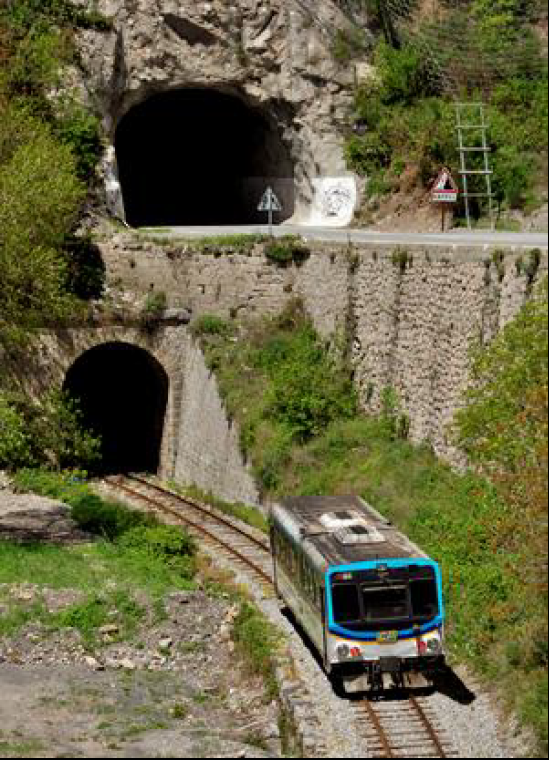 It approaches Le Reveston tightly sandwiched between the two arms of the Route de Grenoble. 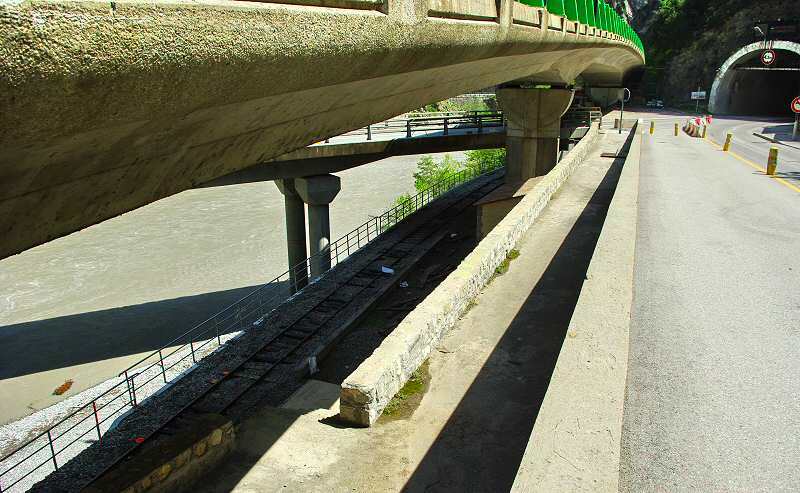 The Google Streetview image immediately below shows this clearly. 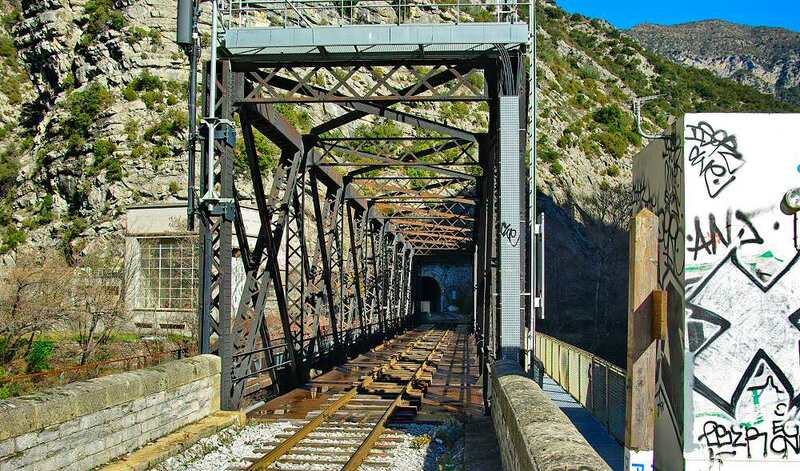 The line the curves round following the old road through the halt and across the Var on the steel truss bridge. 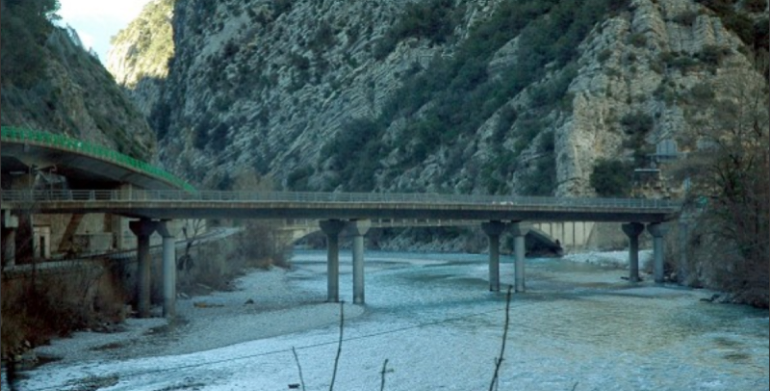 The tunnel beyond the bridge is just visible in the shot above and shows up better in the image immediately below. There is a public footpath on this side of the truss bridge and a maintenance pathway on the other side which provides access to the building beyond. That building, which is visible in some of these shots, is a power station and is shown in monochrome below. At the beginning of the plant’s operation in 1900, there was no pedestrian bridge or other access to the plant. 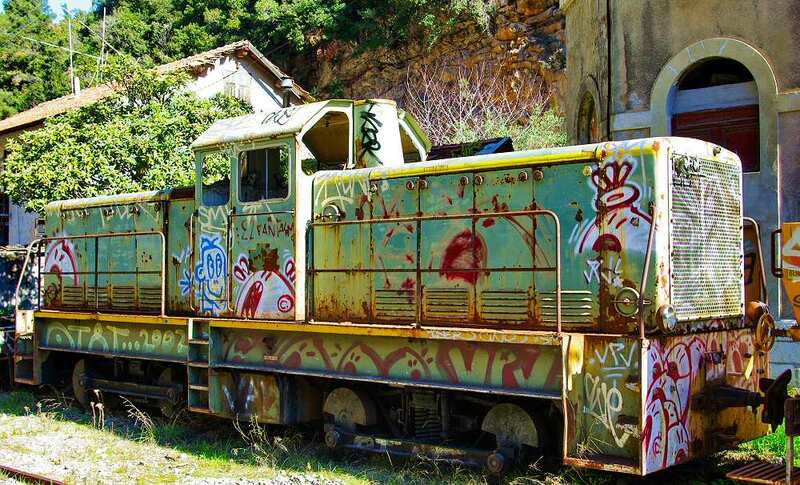 Conflicts arose when plant operators crossed the bridge over the railway tracks to reach their workplace. 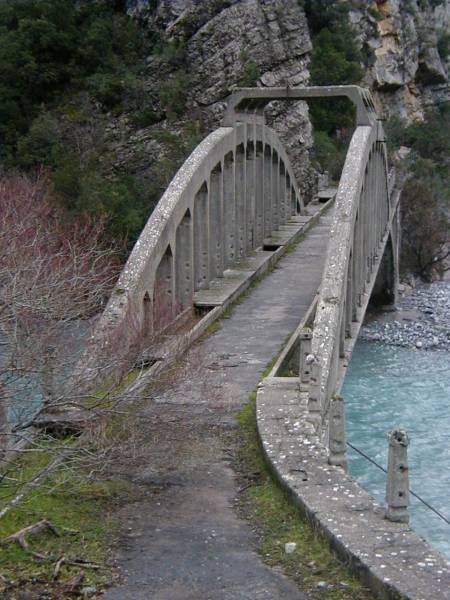 It took over ten years (until 1912) for the wisdom of a pedestrian access being provided to prevail in the minds of those in power.The bridge will be added in 1912, after ten years of vain quarrels. 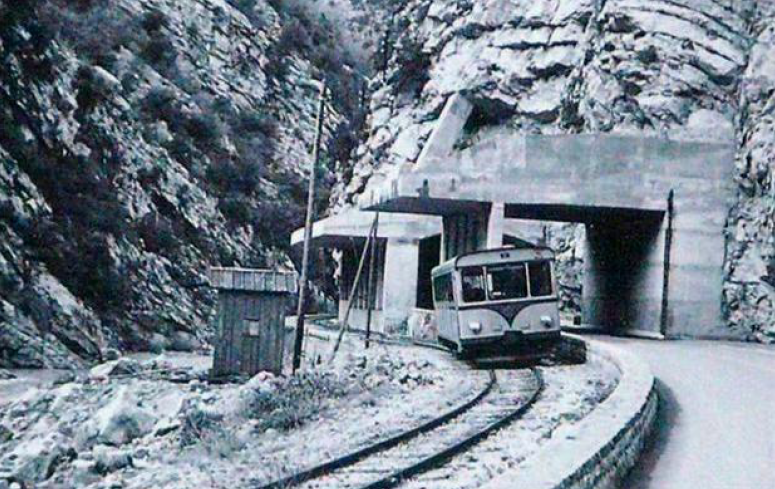 The first electrical plant in the Alpes Maritimes, it was set up under the direction of Alexandre Durandy in 1896 to generate electricity for the tramways. It delivered about 2000 horsepower (1.5 MW) in three-phase current of 10,000 volts 25Hz transmitted to the Sainte-Agathe plant of the TNL. 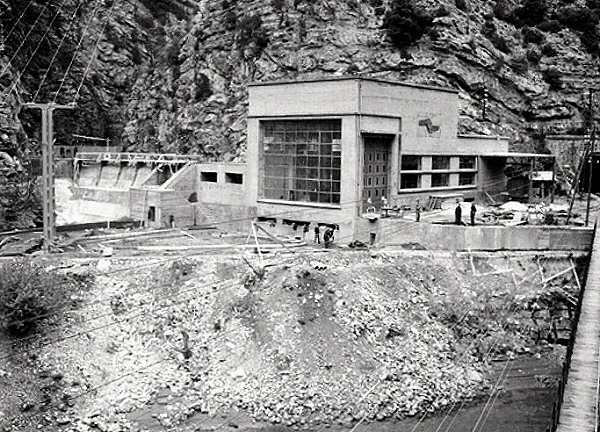 The power-station was rebuilt in the 1950s and takes water from further up the valley of the Var. The turbine house is visible in the monochrome image above. The water supply by pipe and gallery comes from some distance further up the river valley. 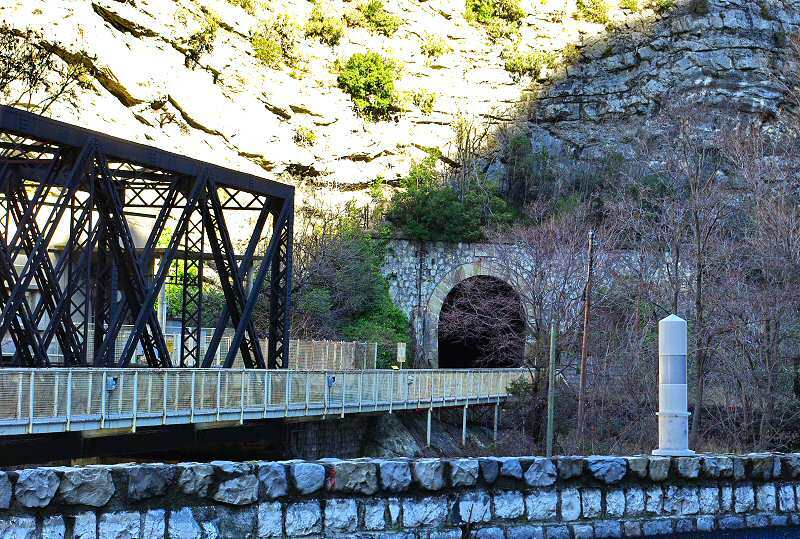 The Tunnel de Mescla South portal is visible in the pictures of the truss-girder bridge above. 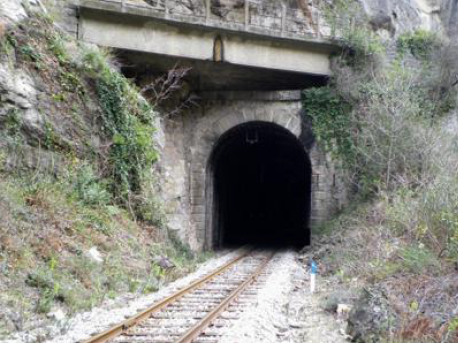 The tunnel is 934 metres long. 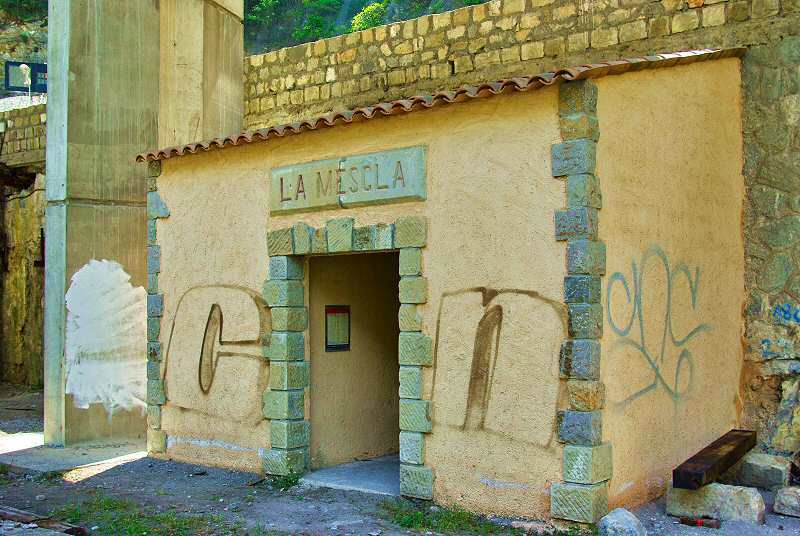 The North portal is now-a-days smothered by the modern road network as is the Station of La Mescla. 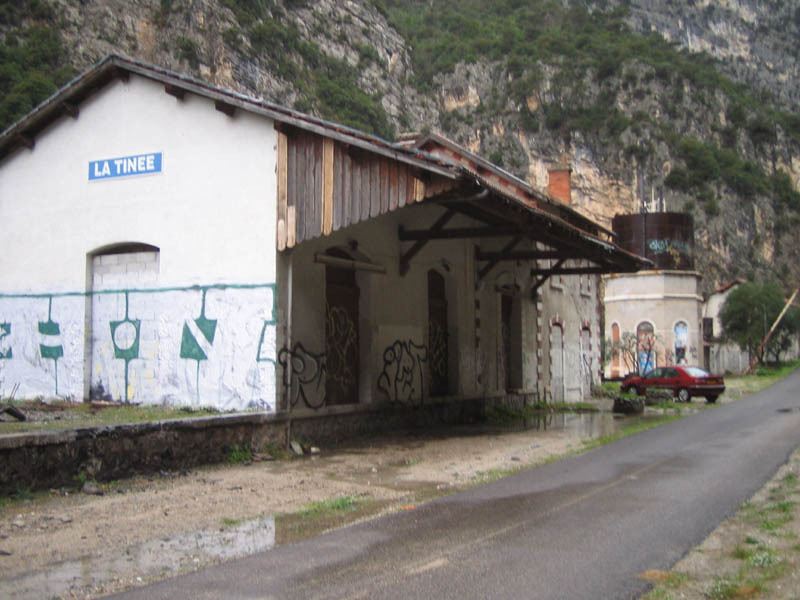 The present station building is disused but it sits on the site of one built in 1904 to replace another station some 500 metres further upstream. 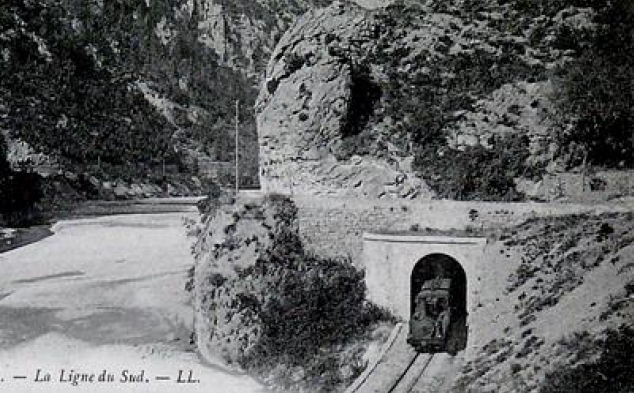 The original station building of 1904 can be seen on the postcard image immediately below. 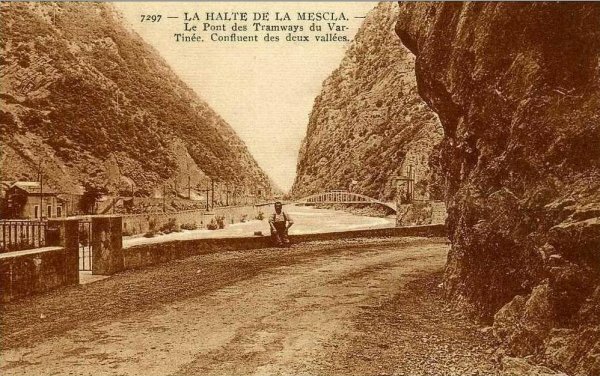 The 1904 La Mescla Station with the tramway bridge visible in the distance. 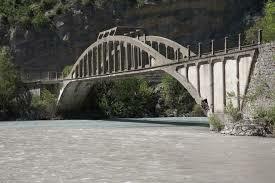 The image comes from the mid to late 1920s. 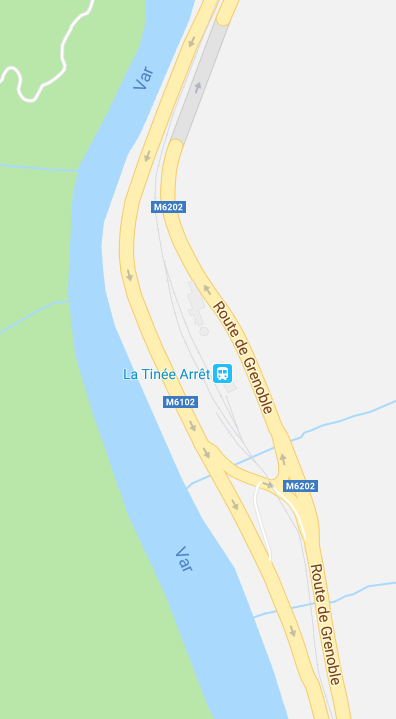 It is just possible, in this image, to pick out the tramway branching from the Nice to Digne main line before the concrete bridge is reached. 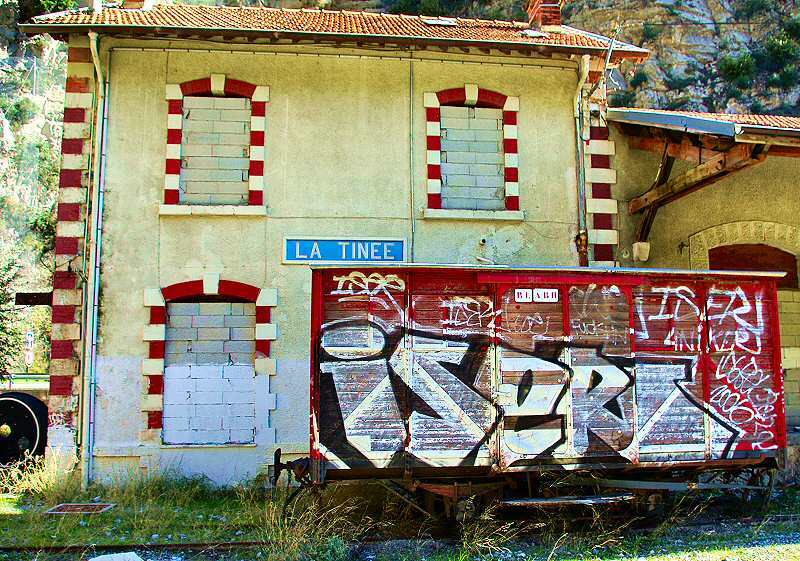 This building replaced an earlier station some distance north of this point. 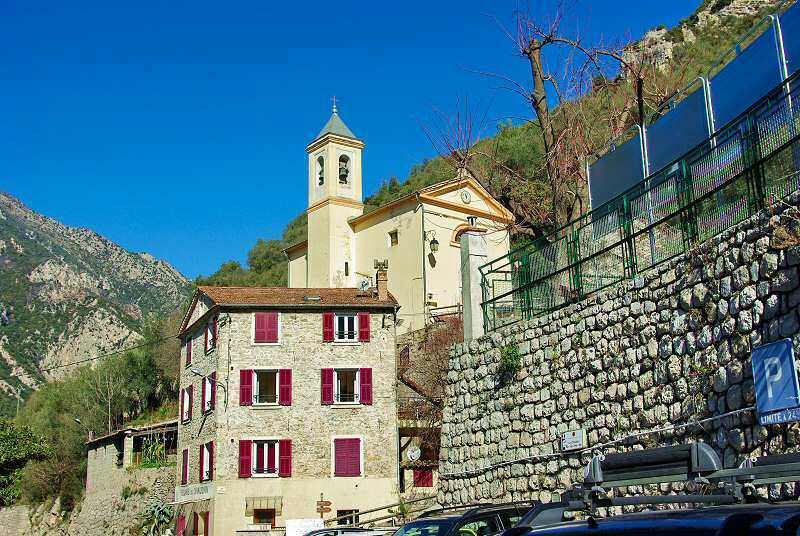 It may be helpful here to reflect on the early history of road building in the hinterland behind Nice as that history goes some way to explaining the route chosen for the railway in later years. 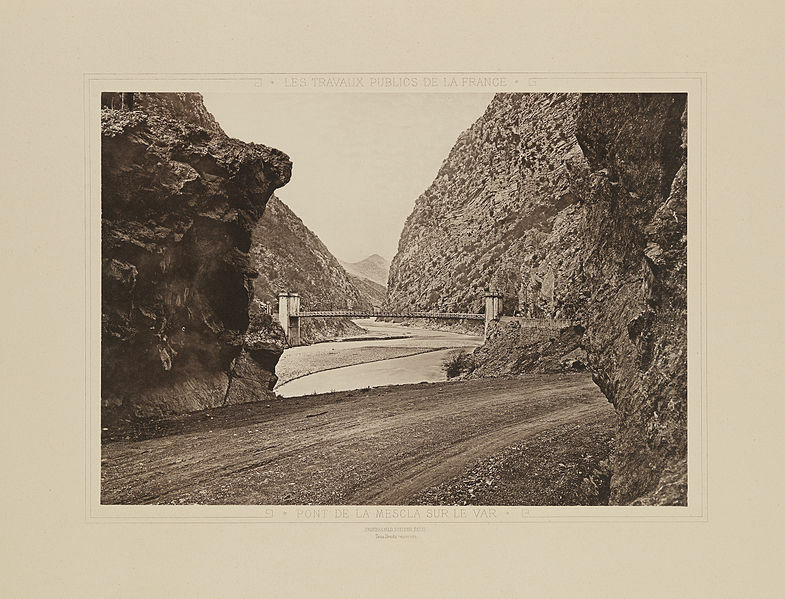 The construction of a dike along the Var, from its mouth to Baus-Roux over a length of over 23 kilometres, also allowed the construction of a road accessible to motor vehicles. 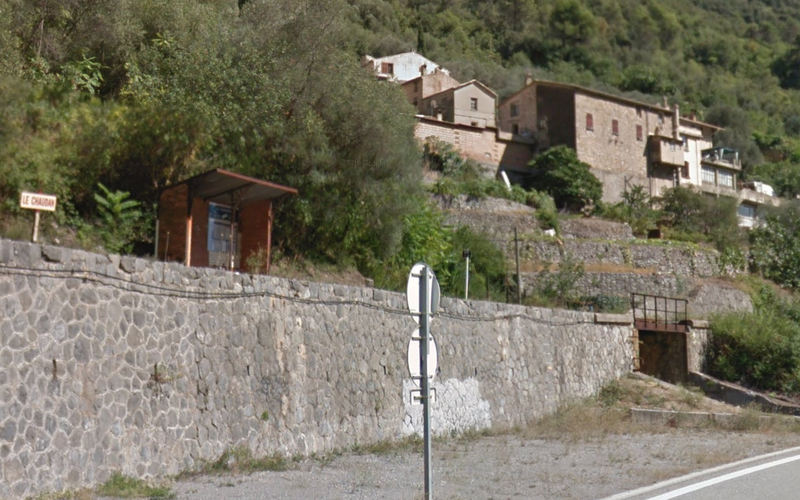 This new road became the main access to the valleys of Estéron, Vésubie, Var and Tinée. It became indispensable. As early as 18th August 1860, an imperial decree was promulgated, declaring the public utility of the works to contain the Var. The French State carried the full cost of the work and the length from the coast to Baus-Roux was finished quickly (by 1869). 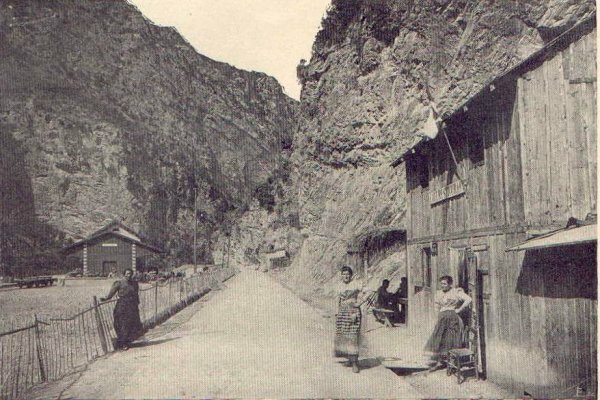 The new road was given the designation IR205 (Imperial Road No. 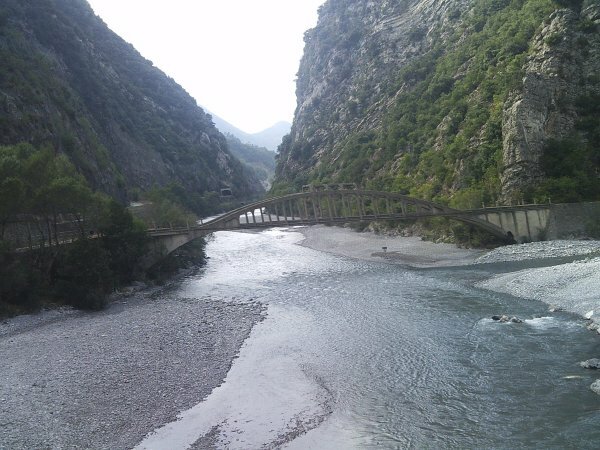 205) and ran from the coast up the Var and into the Gorge at Le Chaudan. 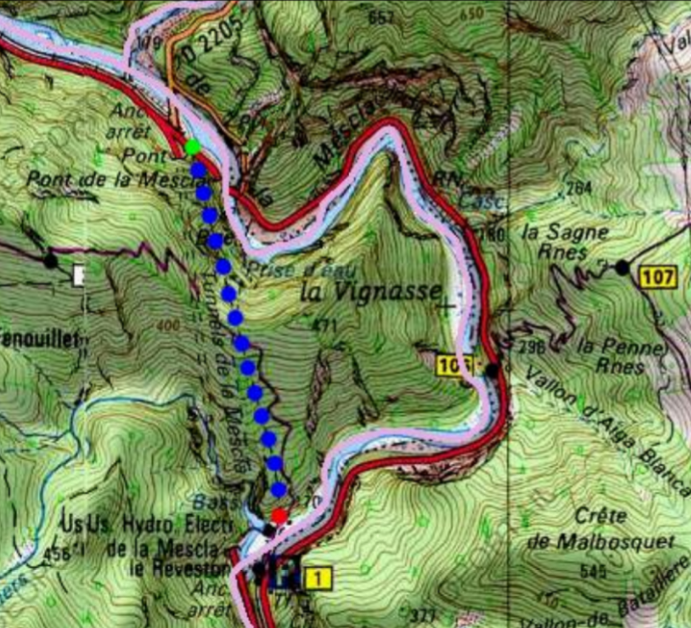 It ran through the Gorge, exiting at La Mescla and then followed the valley of the River Tinée to Saint-Etienne a dn over the pass to the Valley of Haute Ubaye and then on to Barcelonnette. 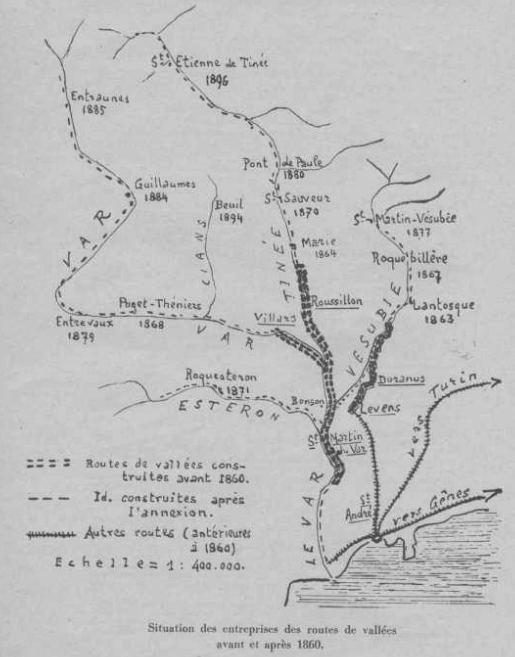 The link to Barcelonnette was perceived to be of great strategic importance. 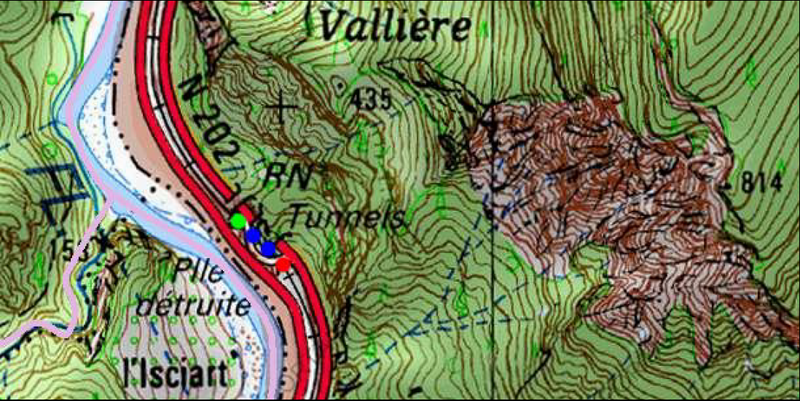 The image below is a hand-drawn map of the road network in the immediate area north of Nice and the valleys of the hinterland. 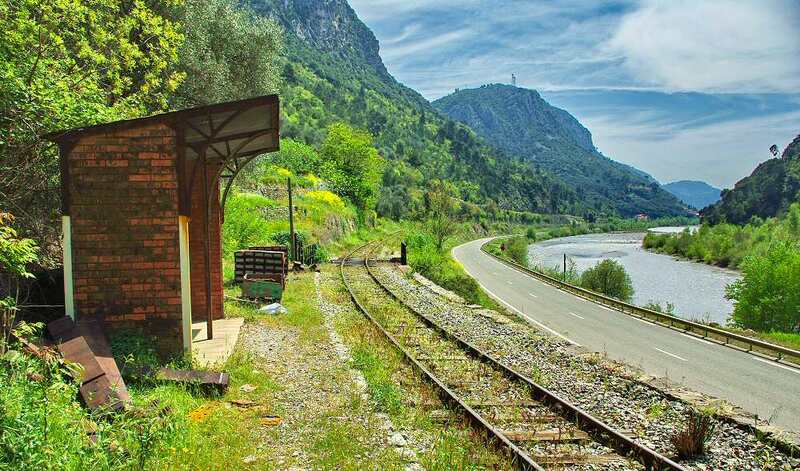 It is natural, therefore, that the thinking of engineers planning the new metre-gauge railway should think first of the Valley of the River Var. 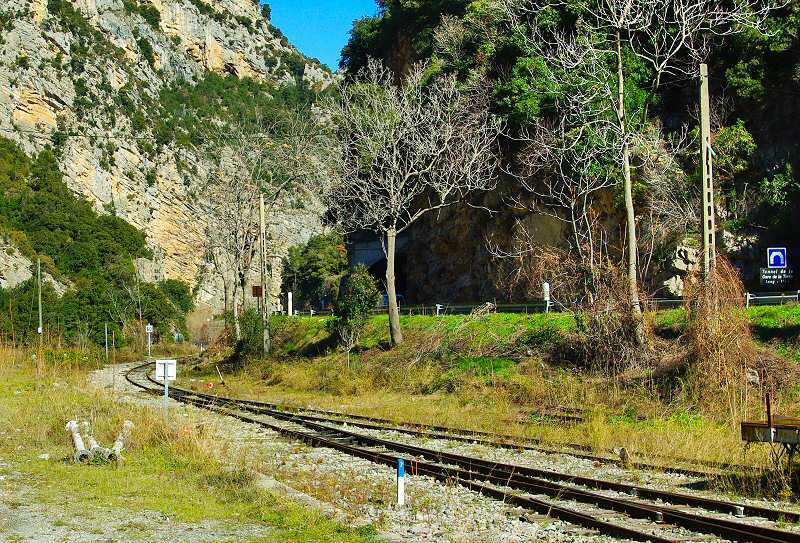 The route of the railway north and west of La Mescla will be the subject of a separate post, as will the tramway in the Tinee Valley. 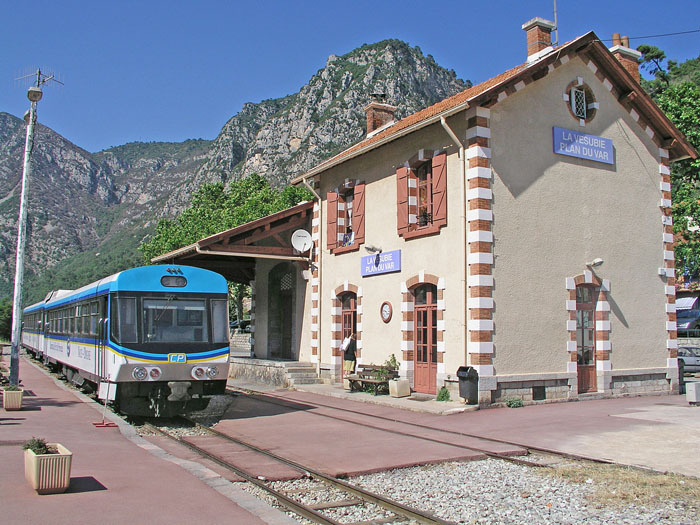 http://myweb.tiscali.co.uk/peclegg/sncf/articles/article_2010_07.html, accessed on 11th July 2018.
http://www.beyond.fr/villages/planvar.html, accessed on 11th July 2018.
http://www.formule4.com/route_code.php?rcode=37, accessed on 8th July 2018.
https://www.google.co.uk/maps/place/Le+Chaudan,+06450+Utelle,+France/@43.8710267,7.195743,17.25z/data=!4m5!3m4!1s0x12cdb61fb9048de5:0xeddd760d1f05ab36!8m2!3d43.870819!4d7.198762, accessed on 11th July 2018.
http://cccp.traindespignes.free.fr/gare-tinee.html, accessed on 11th July 2018.
http://www.tunnels-ferroviaires.org/tu06/06151.1.pdf, accessed on 11th July 2018.
http://marc-andre-dubout.org/cf/baguenaude/tinee/tinee.htm, accessed on 11th July 2018.
https://structurae.info/ouvrages/pont-de-la-mescla-2, accessed on 12th July 2018.
https://structurae.info/ouvrages/pont-de-la-mescla accessed on 12th July 2018.
http://www.tunnels-ferroviaires.org/tu06/06078.2.pdf, accessed on 11th July 2018.
https://commons.m.wikimedia.org/wiki/File:Pont_de_la_Mescla_sur_le_Var_-_Les_Travaux_Publics_de_la_France.jpg, accessed on 12th July 2018.
https://infovallees.wordpress.com/2016/11/15/patrimoine-8, accessed on 12th July 2018. 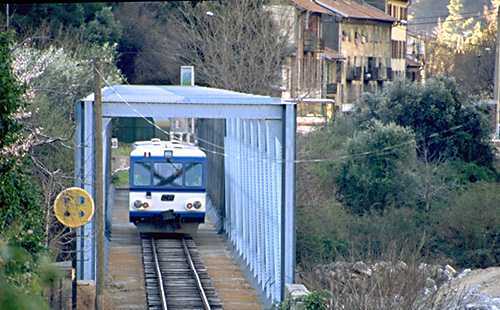 This entry was posted in Railways and Tramways Around Nice, Railways Blog on July 12, 2018 by rogerfarnworth.